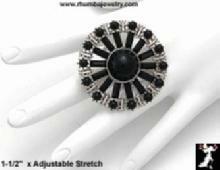 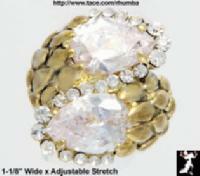 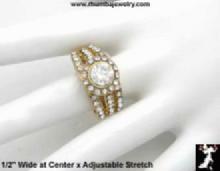 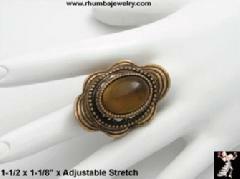 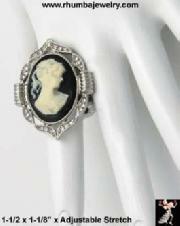 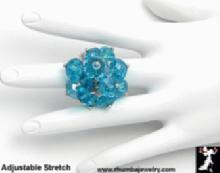 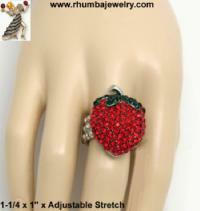 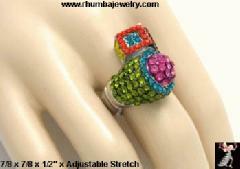 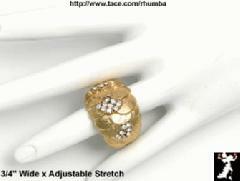 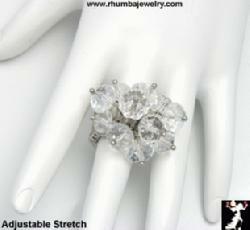 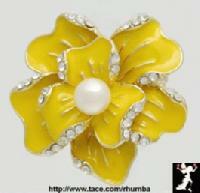 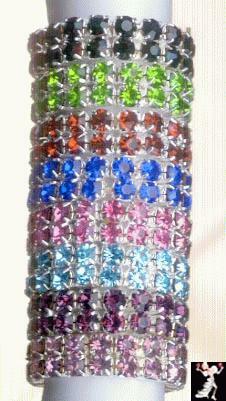 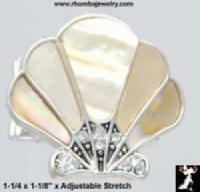 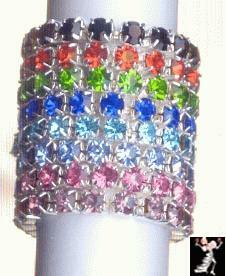 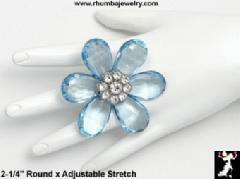 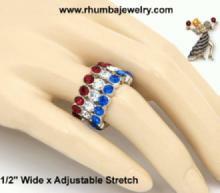 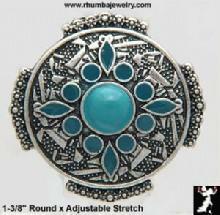 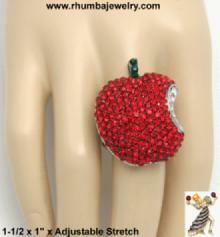 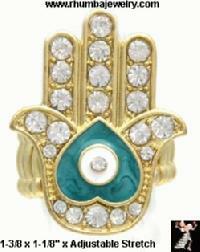 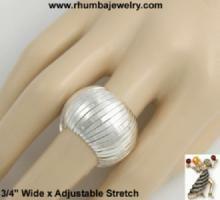 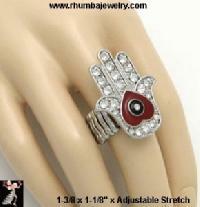 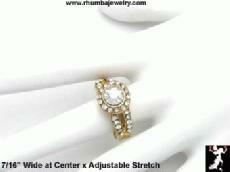 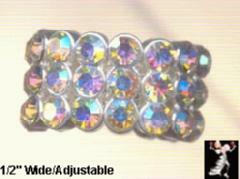 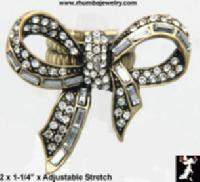 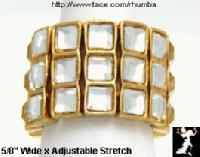 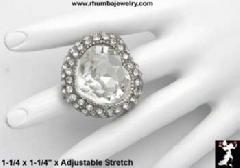 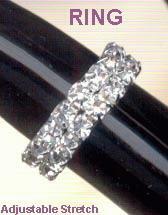 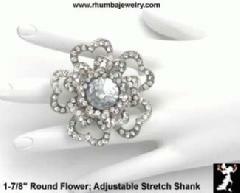 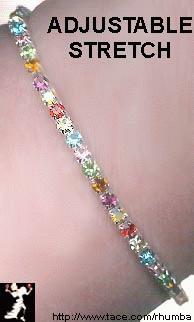 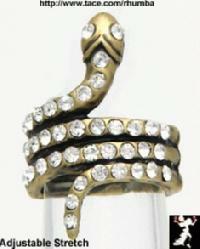 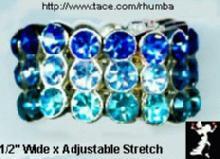 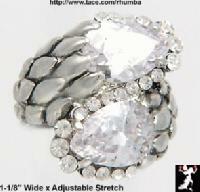 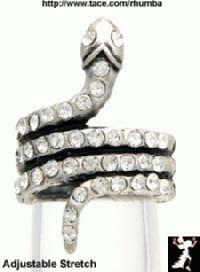 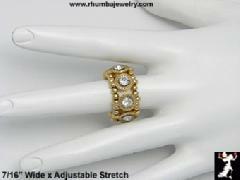 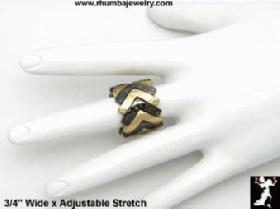 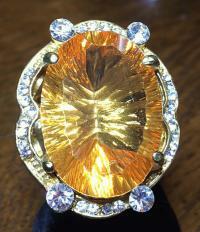 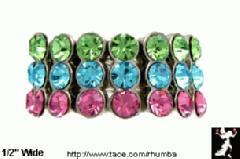 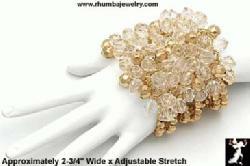 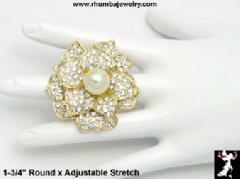 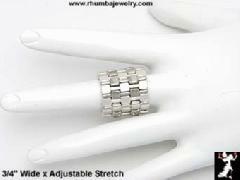 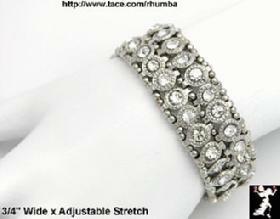 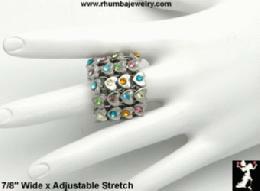 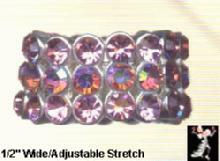 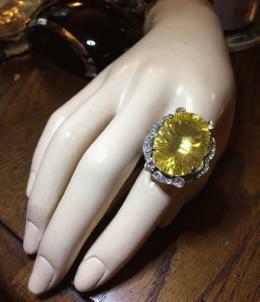 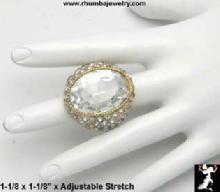 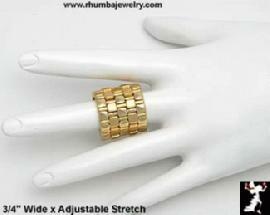 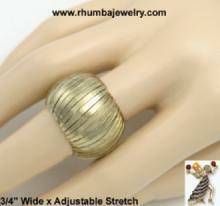 Stretch Rings in Crystal & Rhinestone by Rhumba! 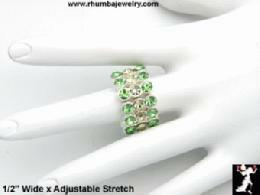 Stretch Rings in Crystal and Rhinestone for fingers and toes with matching bracelets make great gifts because they eliminate the need to wonder about sizing. 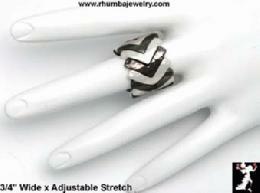 They always fit! 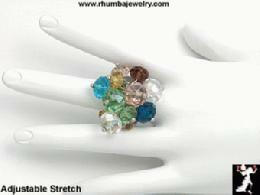 So comfortable for people whose fingers swell during the day or evening! 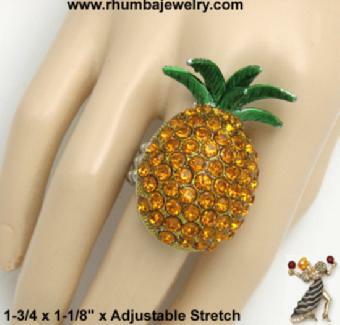 Always easy to put on and remove. 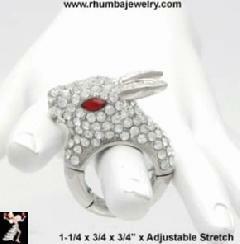 Lots of fashion mileage too! 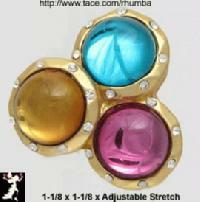 Mix and match colors in pairs or triplets to create your own unique combinations. 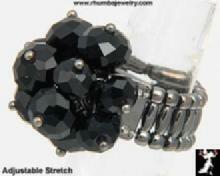 Matching Double Row Stretch Bracelet $18. 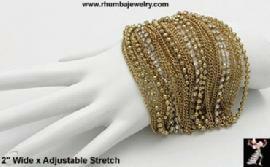 Matching Bracelet also available $24. 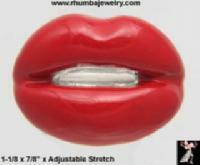 Also Available in 7 Colors! 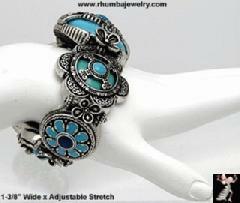 Matching Triple Row Bracelet $24.